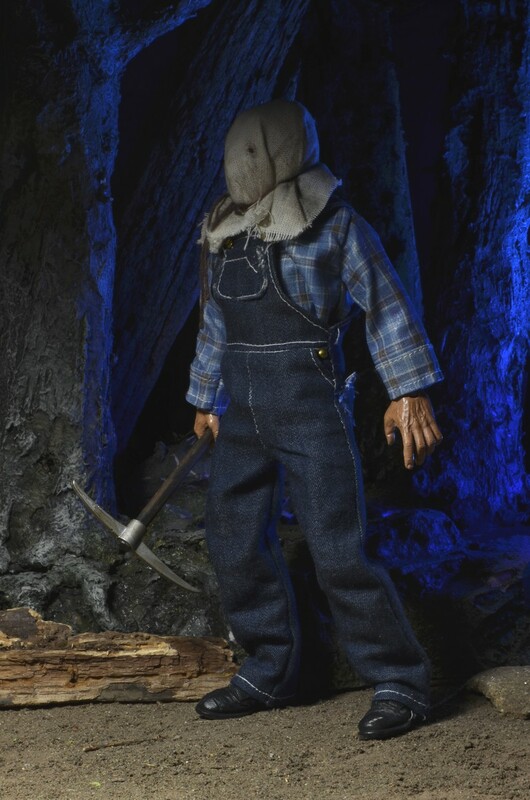 Get your retro fix with this brand new version of Jason as he appears in Friday the 13th Part 2! 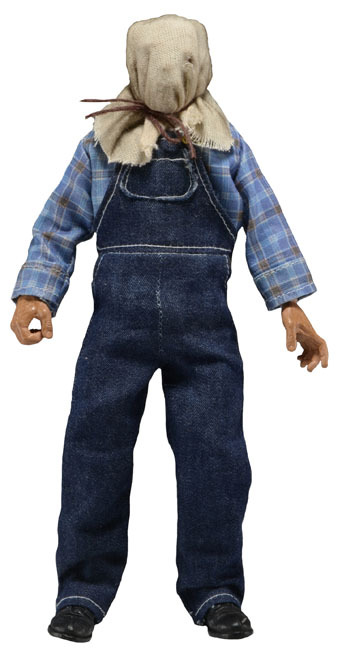 This poseable 8″ figure is dressed in tailored fabric clothing similar to the retro toy lines that helped define the licensed action figure market in the 1970s. 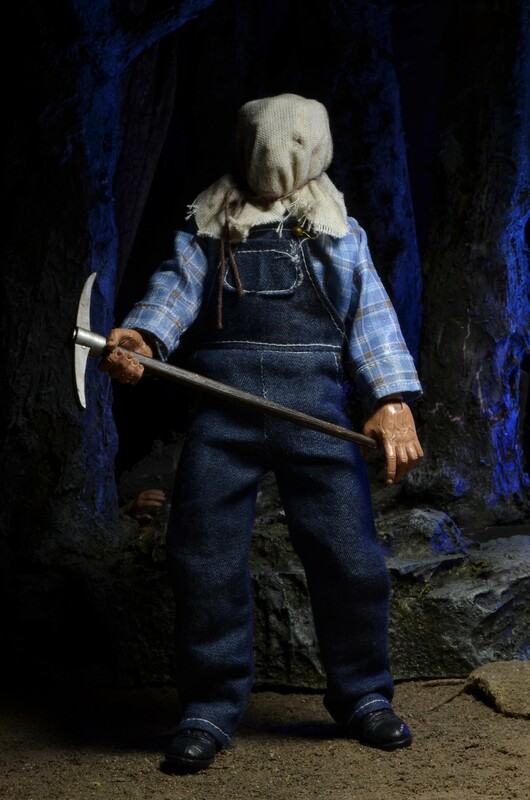 Jason is based on his iconic Friday the 13th Part 2 appearance, before the hockey mask became his go-to fashion accessory. 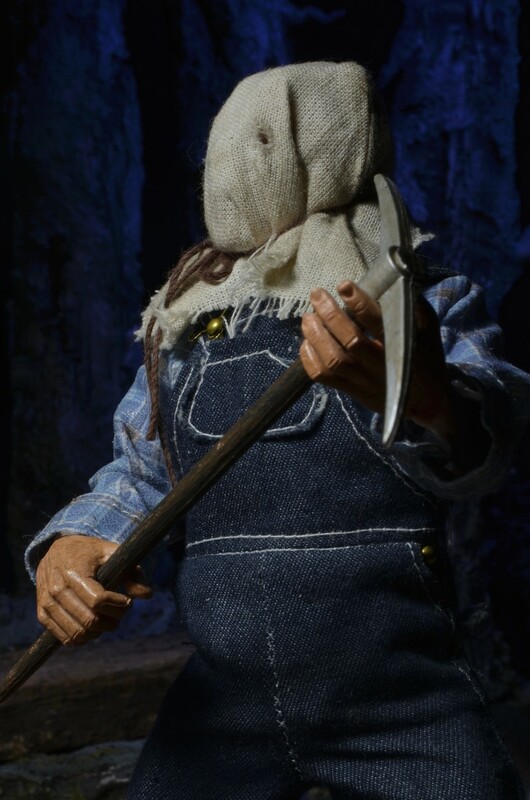 Jason is adorned with a canvas-like sack on his head which can be removed to reveal his deformed face underneath. 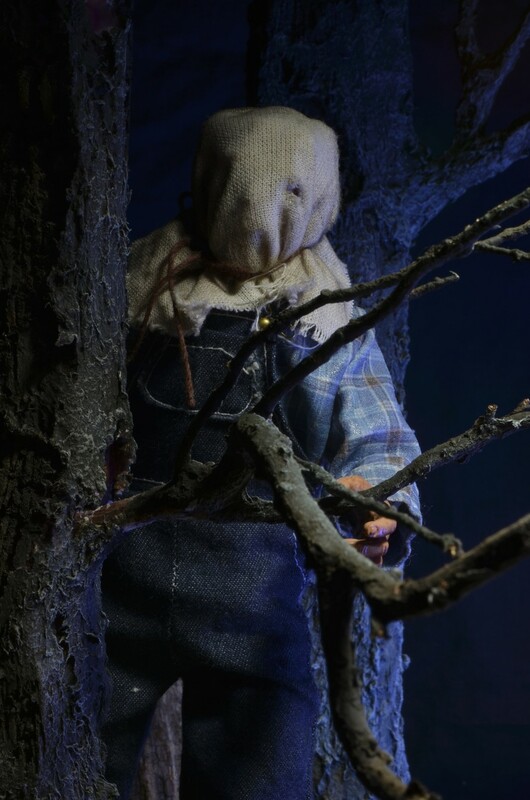 Jason is wearing his plaid shirt and overalls. He comes complete with a Pick Axe and Pitchfork, totally faithful to the movie. 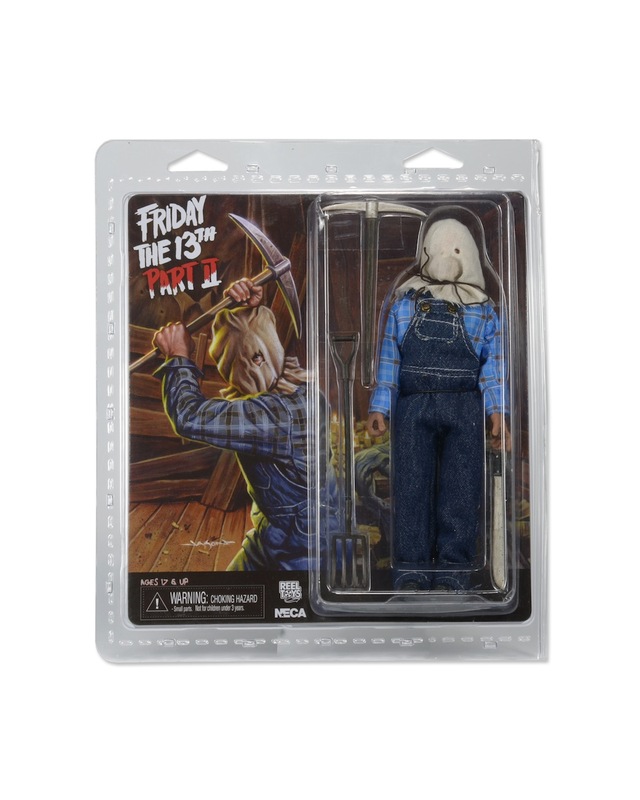 Blister card packaging with removable protective clamshell and custom illustrated artwork.